It's a point I've often brought up when it comes to Google Glass, but one that a lot of lawmakers haven't been so fond of: augmented reality in the car has some great potential for helping people get around. 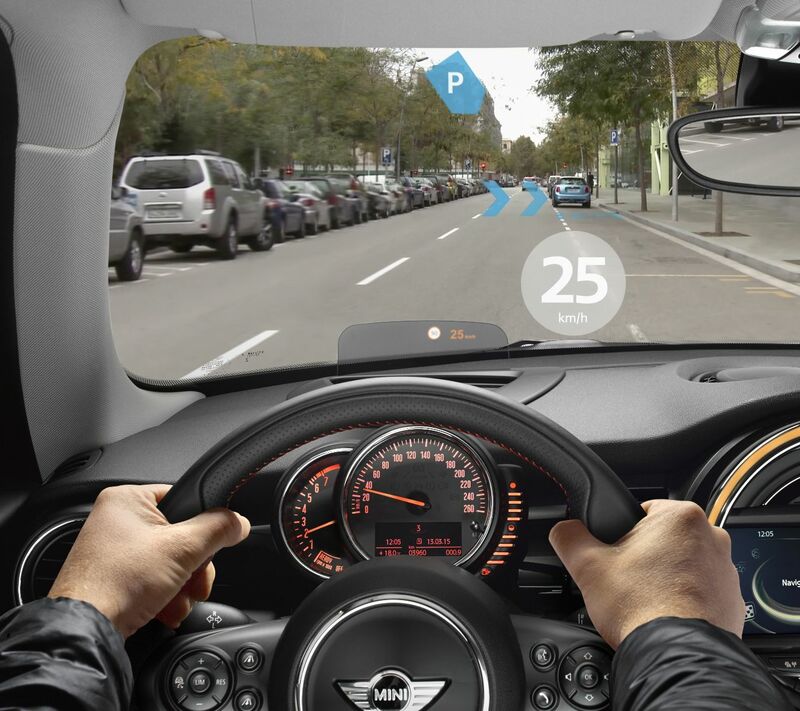 While the response to augmented reality in the car in the United States has often been focused on safety and banning, the Chinese market seems a lot more eager to get in on this concept, and as such, BMW's small car subsidiary Mini will be bringing out the Augmented Vision Goggles system at the Shanghai Motor Show. The goggles, designed for use with the Mini Cooper line of vehicles, look a lot like the kind of goggles that World War I-era fighter pilots might have worn. But this isn't just about retro styling; the goggles come packed with information that should provide a great deal of help to drivers in several common situations. For instance, the goggles offer the ability to help a user remember where the car is parked in comparison to that user's current location, a point that's often proven valuable for anyone who's ever been lost in a crowded parking lot where all the cars look vaguely similar. It also goes beyond that, allowing a user to find a physical location from the car itself, so it can work in both directions. Perhaps the biggest use of the goggles is inside the car; the goggles can present turn-by-turn directions in a virtual overlay, as well as a vehicle's current speed and the speed limit on the road being traveled. The goggles can display an alert for an incoming text message, allowing the driver to interact with it without taking hands off the wheel, including having it read aloud by the car's audio. It can even stream video from outside the car, essentially allowing the user to look through windshield pillars while attempting to park. There's no word on when these will be available, or if they will be a part of any car other than the BMW Mini Cooper, but it's an idea that certainly has its share of merits. Even the best GPS system requires a user to look away from the road, if only for an instant, to see a screen on the dashboard. An augmented reality overlay displays over the driver's view of the road, so directions can be viewed at the same time as the road, which should be safer than most GPS devices. While some would say that this obscures the view of the road, the overlays are generally semi-transparent, allowing content to be read while still providing a view of the road surface. Being able to move text messages to a heads-up display also helps reduce the chance of distracted driving. Only time will tell if we'll ever be able to enjoy such technology, or if we jump straight to the self-driving car first, but BMW Mini Cooper owners may be able to enjoy a powerful new perspective on the road, and soon.